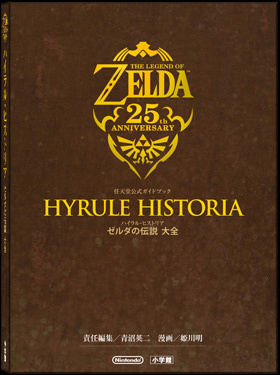 Nintendo has released “Hyrule Historia”, a Japanese book detailing an official timelines of Hyrule. There are 3 timelines by the way not 2! Fortunately, a group of people have translated it into English. You can read the translation here. The book doesn’t boldly state this all makes complete sense, since gameplay comes first. So you have to read it with that in mind. You can also check out a translation to the Skyward Sword manga from the same book (scroll down to the last entry). Edit: The manga is actually a prequel to skyward sword, and looks quite interesting despite only 10 pages being translated so far. PS: You can find full scans of the book here (look around for a link that works). Again, the book is in Japanese, but you can still look at the art if you can’t read Japanese. I don't know what about books, but still, the retro gameplay is really the most important thing for me. Hyrule is my favorite character in Legend of the Zelda. And, so I would like to sincerely thank the developers SNES Emulators https://romsmania.com/emulators/super-nintendo for the fact I can at any time to play Zelda on Windows on my PC. And I do not need a cartridge for this, or something else out of the old devices.